Meeka's life has been filled with more adventure than most, but soon the lonely raccoon will finally have someone to share them with. Last year, Meeka was foraging inside a shipping container in Davenport, Iowa when the doors shut behind her. Amazingly, the animal stowaway then traveled a month-long journey by rail to Halifax, Canada, and then by sea all the way to Liverpool, England -- surviving the trip by eating cardboard and drinking condensation in her dark confines. By the time workers found Meeka in the container at its destination in Wales, she was emaciated, but still alive. She was then transferred to nearby Ape and Monkey sanctuary to be nursed back to health after her long journey. But Meeka soon faced another challenge -- she now found herself in a land where raccoons aren't native, feeling understandably lonely. This week, however, her lonely days will come to an end. Sanctuary director Jan Garen tells the South Wales Evening Post that they've finally found her a much needed companion. 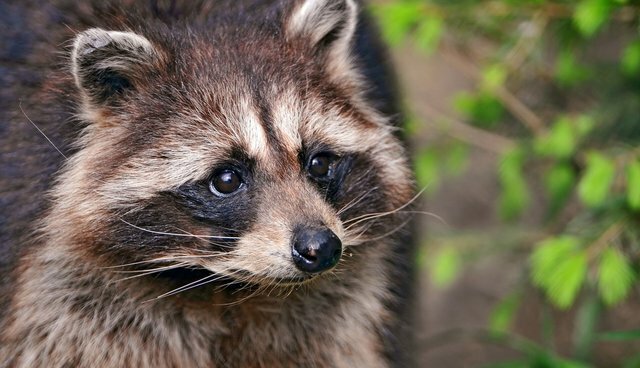 A male raccoon, named Cyril, was recently rescued from an owner who used him as entertainment at children's parties and sent to live there as well. Meeka has no idea that her months of separation from her own kind are about to be over. "He is not in with Meeko yet and is hiding in his den. He's very friendly with humans but we want to have him settled before we introduce them," says Jan. "We will introduce them to one another this week in time for Valentine's day!" While it's too early to say if the pair will hit it off on their big date, Jan says that at least the two raccoons won't be bickering over what to eat: "They both like boiled eggs."